This is a great opportunity for UK companies to take ownership of their international strategies and to win £3000 towards implementing them. 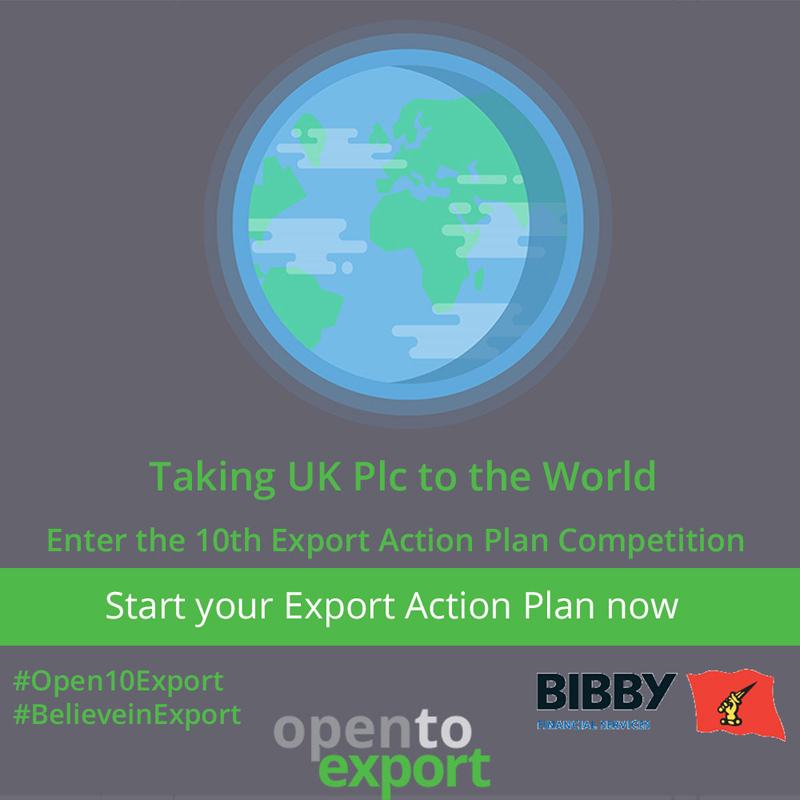 Sponsored by Bibby Financial Services (BFS), the competition asks SMEs to create an international strategy using the online ‘Export Action Plan’ tool on OpentoExport.com. The tool allows companies to take ownership of their export strategy in a systematic way, encouraging them to take decisions along each step of their international trade journey – from selecting a market to delivering products or services to new customers. This follows the competition of the first international iteration of the competition, which was won by Dytech Limited (Zambia) during the World Trade Organisation’s (WTO) Public Forum and saw the IOE&IT being recognised as a ‘Small Business Champion’ by both the WTO and the International Chamber of Commerce. Companies have until January 25th to enter their ‘Export Action Plans’ into the competition – giving them all of Christmas and the key planning month of January. 10 shortlisted finalists will then be invited to pitch their businesses at a showcase final at the end of February. The finalists will pitch to a panel of expert judges about how they would use the £3000 cash prize provided by BFS towards implementing their international growth strategy. The Institute of Export & International Trade (IOE&IT) has for over 80 years been the professional membership body representing and supporting the interests of everyone involved in importing, exporting and international trade in the UK. Through qualifications and training the IOE&IT has driven the export skills agenda in the UK and is the country’s leading authority for best practice and competence in trade. Bibby Financial Services (BFS) is a leading independent financial services partner to over 10,000 businesses worldwide. With over 40 operations in 14 countries spanning Asia, Europe and North America, BFS provides specialist and adaptable FX services, trade, asset and working capital finance, helping businesses to grow in domestic and international markets. Formed in 1982, BFS is part of the Bibby Line Group (BLG), a diverse and forward-looking family business delivering personal, responsive and flexible customer solutions for over 200 years.